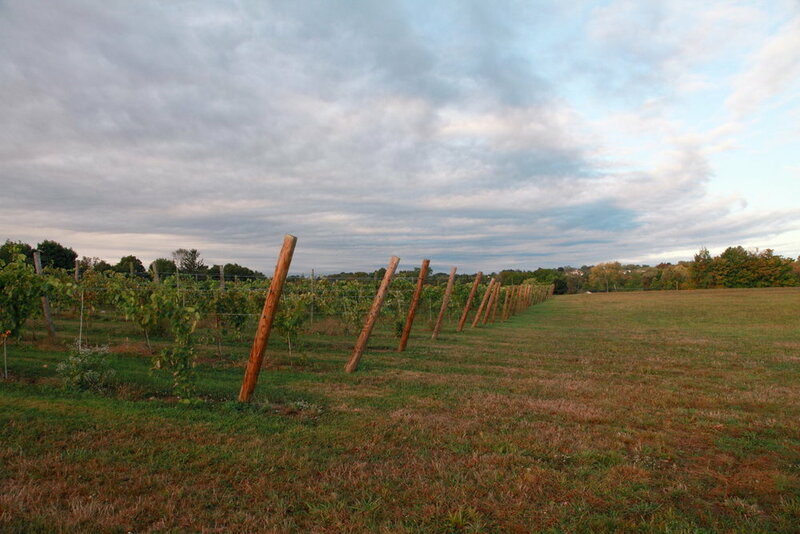 Hawk Ridge Winery, part of Hidden Breeze Farm, is located in Watertown, Connecticut, a peaceful farm setting in which to enjoy friends, family, and fantastic wine. Hidden Breeze Farm has been in existence since January, 2012. We decided to name our winery after the abundance of red tail hawks on the property. The 58 acres that surround Hawk Ridge Winery were purchased by Hidden Breeze Farm LLC in 2012. For decades the property was a working farm. In 1975, the property began operating primarily as a horse farm, haying its pastoral acreage. In 2013, after a year of deliberation and appreciation of the property, we decided to convert the property back to a working farm with the introduction of farm animals. Thirty acres of hay are harvested by the farm annually. In 2014, the decision was made to diversify our crops by planting grapevines with the assistance of many volunteers and college students who worked tirelessly to get the vines into the ground. In 2015, additional grape vines were planted by these same volunteers. There are currently 4 acres of grapevines planted on the farm. Five beehives were added to the property in 2014, and squash and garlic grown in 2015. Future project plans include expansion of the vineyard to 30 acres of vines, expansion of honey production, and other farm related products. Hops are also projected to be cultivated. The Giannetto and McHugh families have known each other for more than 20 years, beginning when Vinny coached the Watertown Blue Devils soccer team and his daughters, Kristie and Jessica played on this team, along with Katie McHugh. Stephanie Giannetto, the eldest, and Jeff McHugh, the youngest, along with Vinny’s wife, Debra, and Jack and Michele McHugh would cheer the team from the sidelines. Through the years, the team continued to do well, reaching the state tournament, and the friendship between the 2 families grew. It has continued throughout the years, as the children have grown and married (Stephanie and Josh, Katie and Owen, Kristie and Mo who were married at the vineyard in 2015), with another wedding scheduled at the vineyard in 2017 for Jessica and Kyle. The families began conceptualizing the vineyard in 2015, and broke ground on both Hawk Ridge Winery and Echo Lake Commons medical/professional building during the same week in August, 2016! We like to think of Watertown as the center of our universe. 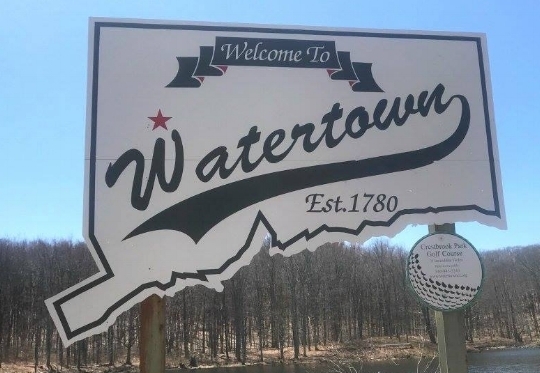 Although none of us is originally from Watertown, we have made Watertown our home for over 30 years. Our friends are in Watertown, our families grew up in Watertown, and our businesses are in Watertown. What better place to start a winery?